Rico knitting patterns are simple, versatile, and fun. Knit something for your family or for yourself using their high quality, economical yarns. Don’t you just love the texture of these sweater patterns? Featuring Rico Essentials Merino DK, this 2-in-one pattern uses a textured stitch with attractive raglan sleeves and a wide neckline. This jacket will knit up in a flash using Rico Creative Melange Chunky, a bulky weight wool blend yarn in a range of adventurous, self-striping colorways. This jacket features a contemporary hemline shaping with a tall ribbed neck for extra coziness. Everyone loves an oversized cardigan, including us. This one features large pockets, a textured button band, and a shawl collar for good measure. It also features Rico Creative Melange Chunky, which has a colorway for everyone. Knitting garments for babies is fun and fast. These patterns are simple designs with contemporary twists on classic ideas. This baby cardigan has bear ears on the hood for extra cuteness, and is knit up in Rico Baby Classic DK. It’s knitted flat on single pointed needles with raglan sleeves and an attached button band. Baby will look smart and cultured in this striped sweater with attached elbow patches. It’s knitted in Rico Baby Cotton Soft DK, a cotton blend yarn that’s lightweight and machine washable. This classic cabled look features a simple cable pattern and a v shaped neckline. This pattern fits babies from 4 months – 2 years, and uses Rico Baby Classic DK, a machine washable yarn that’s hypoallergenic and won’t shrink in the tumblr dryer. We all love making things for growing kids, and these knitting patterns for children are great for beginners and experienced yarn crafters alike. Using Rico Creative yarn, you can make these funky and fun winter accessories. The pattern includes instructions for the hat, cowl, and legwarmers, which are all knitted in garter stitch – a perfect project for beginners. This cardigan would be perfect for Easter, with the bobble details and textured panels. Knitted up in Rico Essentials Soft Merino Aran, this cardigan will last through years of wear. Knit this with Rico Creative Lucky Chunky yarn and your little one will have a new jacket and winter accessories in no time. This pattern includes instructions for the hat, scarf, and jacket. Which of these Rico knitting patterns are your favorite? Tell me in the comments! 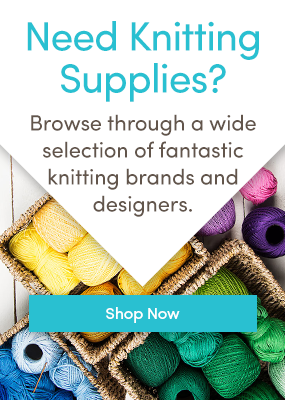 Love knitting patterns? Follow us on Bloglovin’ and never miss out on inspiration. Angie Jack of all trades, Master of Netflix and video games. A musician by passion, a gamer by choice, and a crafter by chance: I write about knitting and crochet and design fun patterns! Last updated: February 17th, 2016. I’m very surprised and hurt that the people who run this site aren’t answering or helping the people who are paying for their products and are making this site a success…..I like many others asked if you would please print out a copy of Shawl Collar Cardigan Patt#111 because when I printed it out it wasn’t ‘sized’ correctly by your printer and it squashed 3 lines at the bottom just to make it fit the page-instead of making another page. You didn’t answer my email or help. So I searched and found your UK site which had the pattern literally in pamphlet form instead of download. Great…..then reading the pattern, and I’m an expert knitter and crocheter, found my mouth to the floor because it was written non-sensible, no mention of parts to start except left of right,-no number rows-and it’s ‘rib’ pattern didn’t measure up-get a new pattern writer!! People have paid 55.00 to 90.00 for this pattern and yarn and I think it’s irresponsible for a business to leave their customers hanging because of their indifference. We want the pattern re-written and with diagrams to help make sense of it. Hire an american if you have to but please make it understandable. It’s a lovely pattern and we’d like to complete it. Thank you.